Tiles that floor me. | House by the water. In preparation for selecting laundry colours, humour me with a little diversion into the world of tiles. Tiles are my new obsession. I think I may have fallen victim to the influence of fashion because I never used to like tiles. Maybe it is the fact that I’m currently living in “The City of Tiles” where every second building, old and new, short and tall, is covered in tiles. Tiles are literally everywhere. They wash up on the beach in front of my current abode after each high tide. There is even a tile museum in this city! 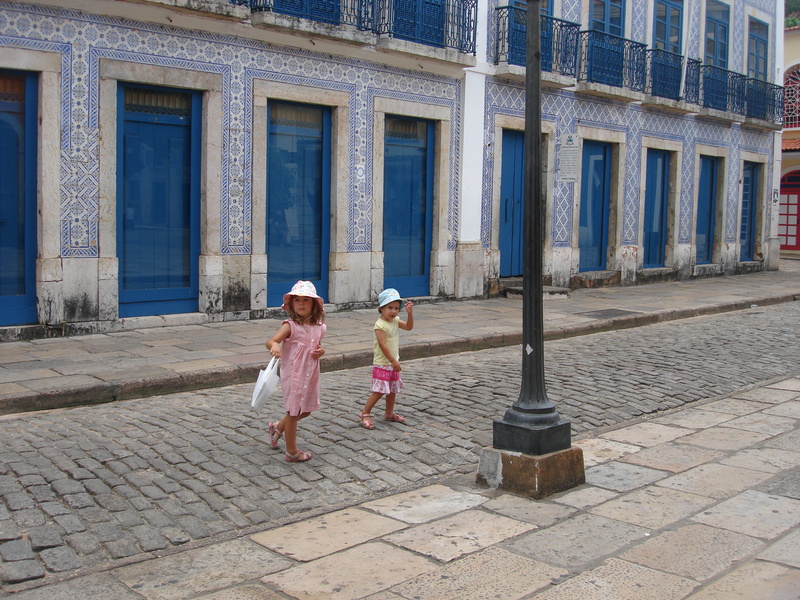 Two of the little pigs wandering in “The Tiled City” of Sao Luis, Brazil. From Jatana Interiors. 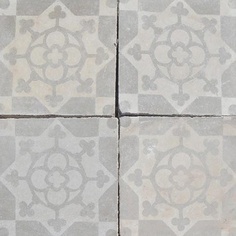 Reproduction tiles $165 per sqm. 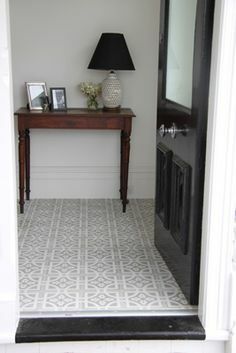 Source: Encaustic cement tiles from Lindsey Lang. £185 per sqm. Source: Original Style. £274 per sqm. Floor tiles by Lindsey Lang. This concrete floor has been stencilled. 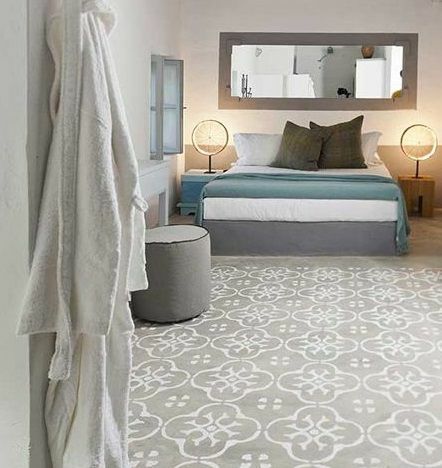 Save money on tiles and holiday in Grecian Paradise instead? 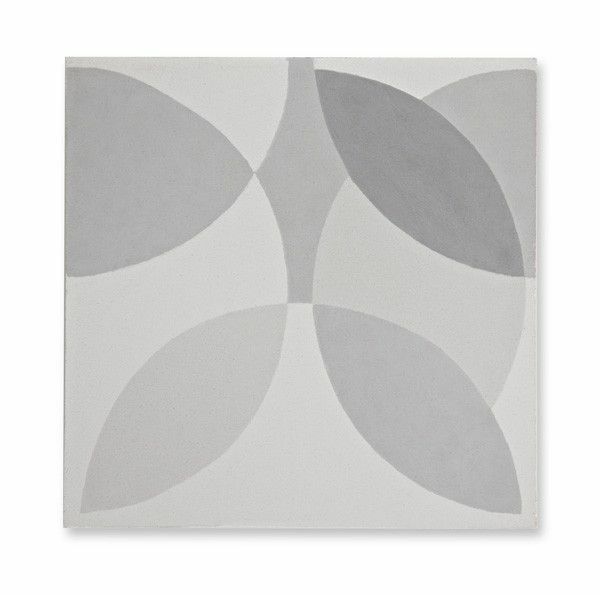 In fact our laundry has only about 4.5 sqm of floor to be tiled, so potentially the difference between the standard tile allowance ($60 per sqm) and some tiles from Jantana Interiors could be less than $500, plus additional installation fees for a smaller tile. The builders don’t allow owners to supply materials, so this is something that might have to be done after handover. Aside from the cost, would you do it? 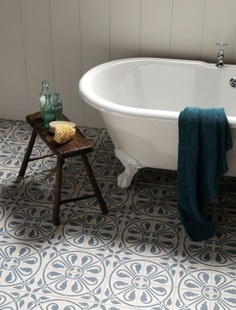 Have you found any suppliers of beautiful tiles in Western Australia? Did you lay any tiles after handover or manage to sweet talk the builders into laying something different? 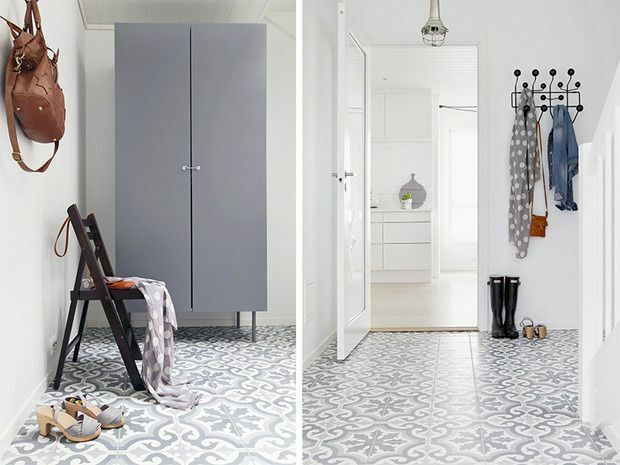 Want to see more beautiful tiled floors? 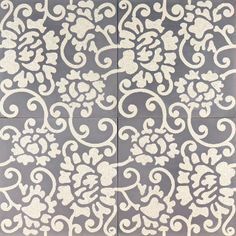 Visit my Pinterest “Floors” file by clicking here. Thanks for the warning Judy. I’d better come up with a back up plan. Spending extra on a few features is OK – but in the laundry it is not really justified. A basket-weave tile will be perfect in your style of house. Any pics yet? Can I ask where you found ceramic basket weave please? Hi I just found your blog today after wandering around on the HomeOne website. We are in early stages of choosing house plan and waiting for quotes, so all this awaits us. Love love love your ideas and colours, I’ve found through my growing obsession with all things interior that I keep being drawn to the same style of kitchen colours as you. Glad to have found your blog, can’t wait to see how it all pans out! Hi Reen, Nice to have you here. It’s good to have people with similar tastes sharing tips! Are you in W.A.? I look forward to seeing your house plans. Hi Jo! 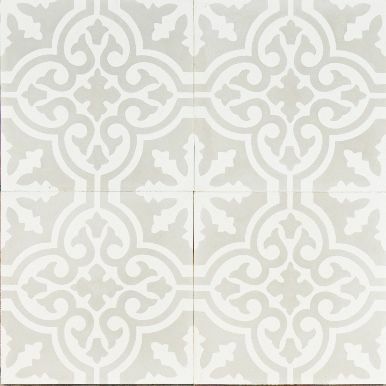 I don’t usually like tiles either, but the Jantana ones are beautiful, and I think would add character to a home. You could ask your builder not to do the floor coverings at all, and just organise it yourself. Save doubling up on payment. Some builders will allow it!! And so they should!! Best of luck with it all. Lovely to see 2 Little Pigs aged nearly 5 and 3 outside the beautiful house of tiles. Pingback: Laundry Colours | House by the water.